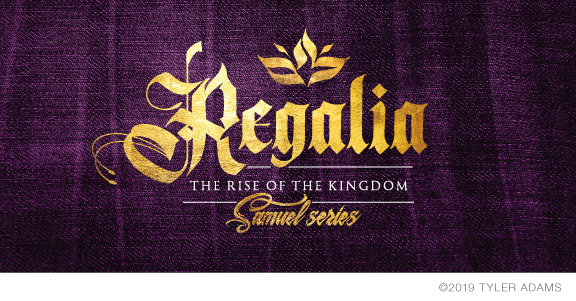 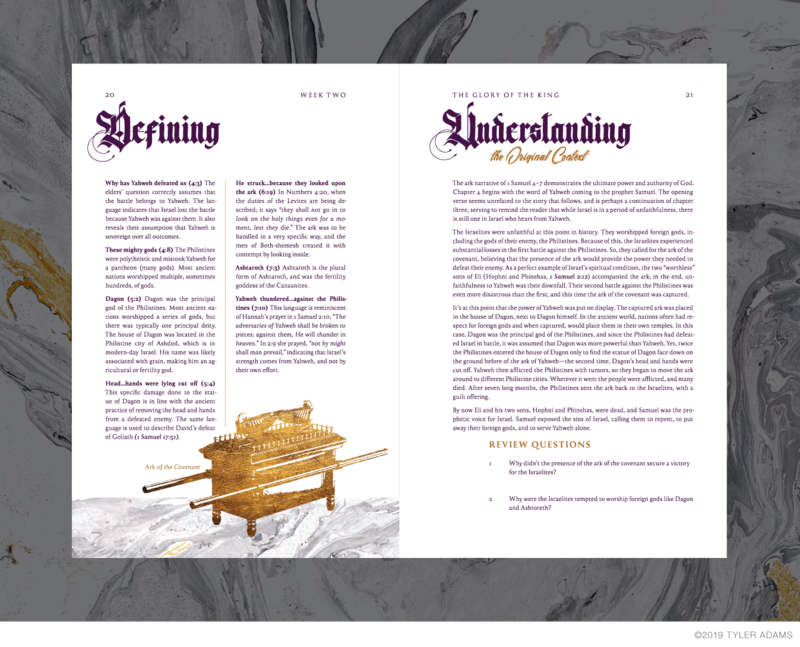 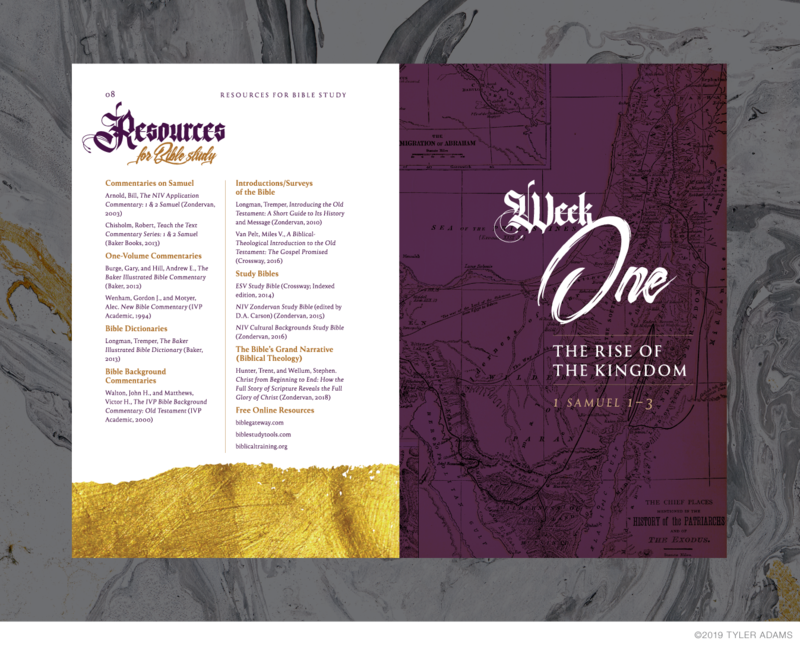 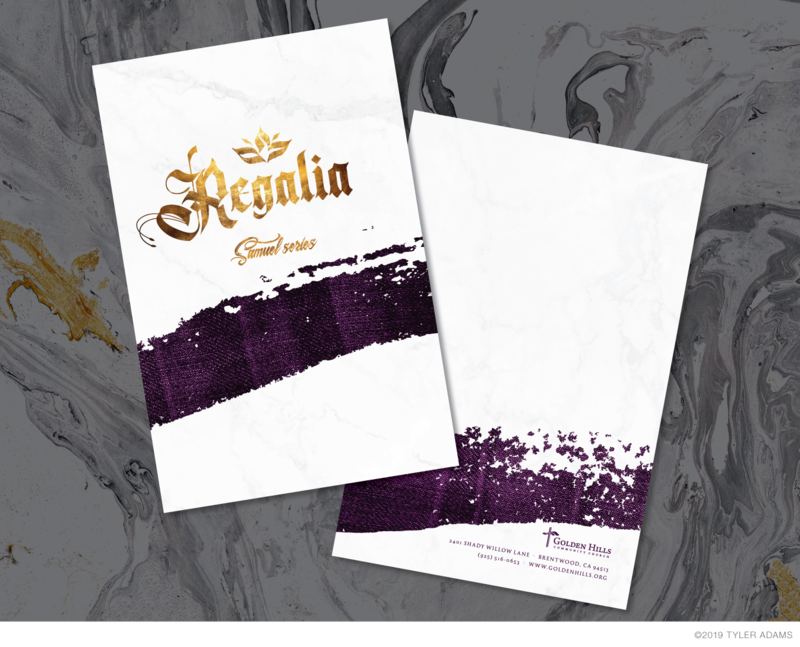 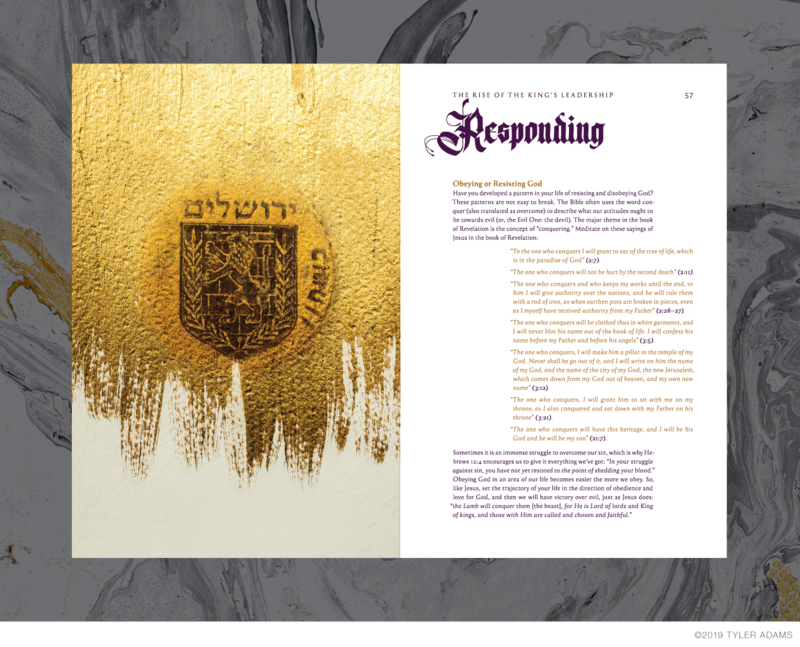 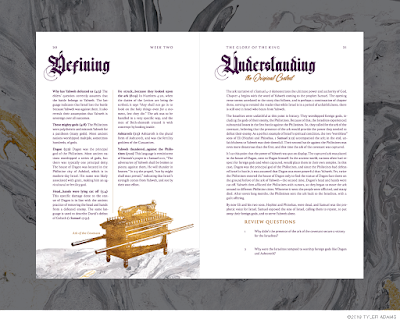 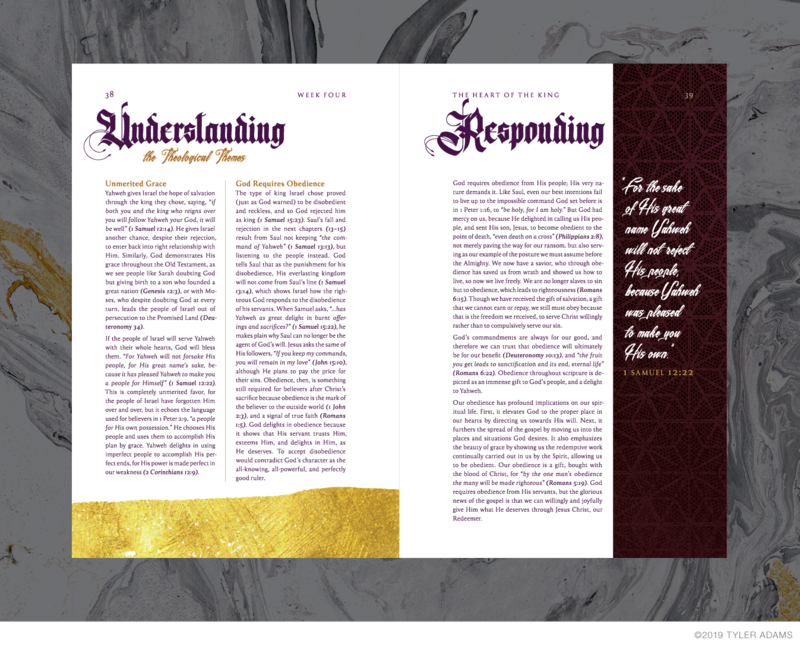 Regalia: The Rise of the Kingdom is a 13-week study through the books of 1 & 2 Samuel. 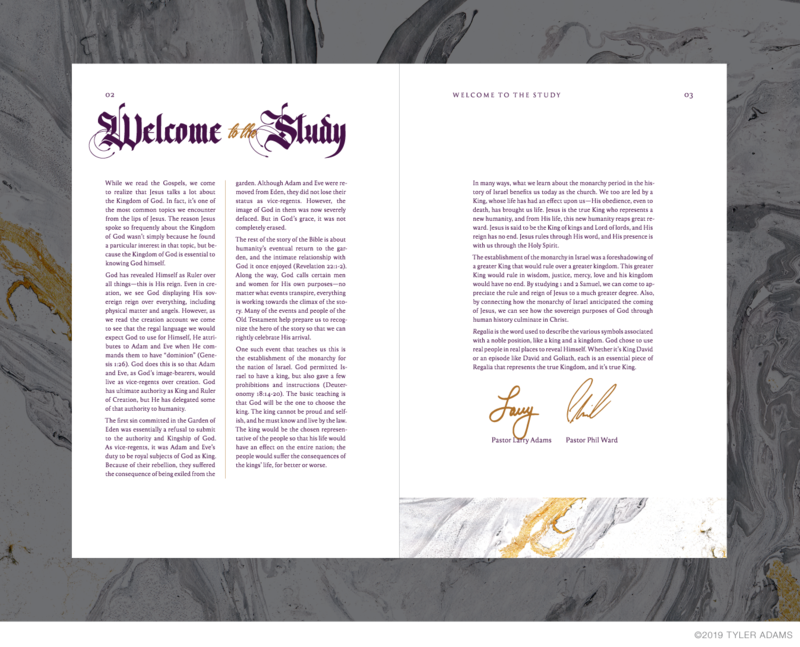 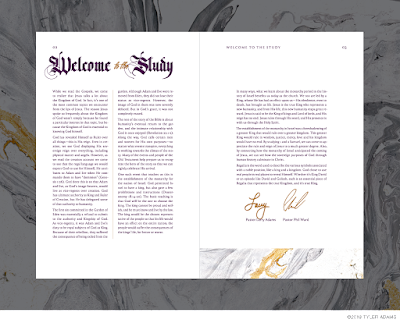 I wanted this study to have a royal/regal look so I used purple and gold throughout the book with fabric, gold, and marble textures. 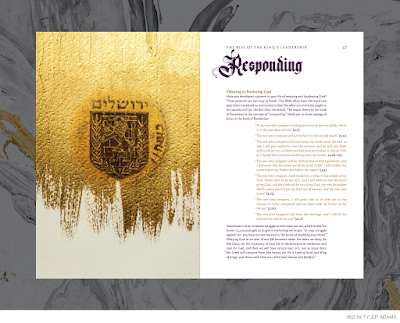 I created and collected maps of Israel during the biblical eras we were studying. This was a great study on two of my favorite books in the Bible.